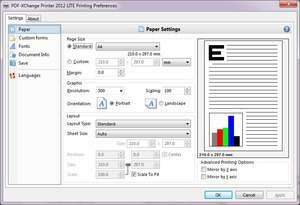 PDF-XChange Lite is the newest addition to the line of PDF-relatedtools offered by Tracker Software. This version is a freeware application comparable to their full PDF-XChange product which is geared towards home users. It includes a lot of the features of the full version of PDF-XChange, yet more specific business-oriented features are left out. Without dwelling too much on what isn't included with the "Lite" version. Version 8.0.330.0 is a freeware program which does not have restrictions and it's free so it doesn't cost anything. For security reasons, you should also check out the PDF-XChange Lite download at LO4D.com which includes virus and malware tests. Additional screenshots of this application download may be available, too.